At age of 15, KyungGu Lee saw the saxophone in a department store by chance. Then a year passed before he got a chance to attempt playing the instrument that had delighted and enchanted him. From the instant of that first touch he fell instantly in love; the saxophone and he were destined to go through life together. In 1999, he had the first opportunity to interact with other musicians at Seoul Institute of Arts, which has produced large numbers of distinguish musicians in Korea. This immersion into a community of musicians and the chance to learn from interaction with them are only two of the many of the benefits. While in the Seoul Institute of Arts, he joined the National Navy Entertainment Band as a saxophonist, and the three years he spent traveling the country extensively and performing regularly was an extremely valuable experience. After graduating the school, he got into the main field of music in Korea such as national theaters, TV shows, and local jazz clubs. In addition, he has instructed how to play jazz in individual private lessons and academically as a member of the staff of several music schools in Seoul. Despite his settled music life in Korea, he came to New York to carry on with his dream in January of 2006. He believes that everything he respects and loves about jazz exists in it. He first chose the prestigious New School for Contemporary and Jazz Program. Then he has continued his studies at SUNY Purchase College for graduate studies in 2011. In the schools, KyungGu Lee got opportunities to study with great musicians such as Jim Snidero, Joel Frahm, Donny McCaslin, Rich Perry, Mark Turner, Reggie Workman, Steve Wilson, Eric Alexander, Ralph Lalama, Hal Galper, John Faddis, and Todd Coolman. All his experiences with them have broadened and enriched his music. While he was studying in SUNY Purchase, Kyunggu Lee joined with New York Korean Jazz Orchestra and dedicated himself NYKJO’s first album as an arranger, a producer and the first tenor player in 2011. The NYKJO is a dynamic ensemble made up of some New York’s best young players, and showcases Lee’s original arrangements and compositions that are garnering the attention of musicians and fans alike. In addition, in August 2012, he finally released his debut album New Song with Steve Wilson, Kevin Hays, Johannes Weidenmueller and Adam Cruz. He tried to find his own voice through this project that made him seasoned. 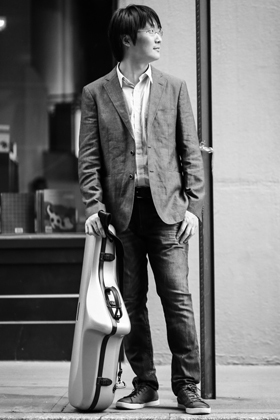 His album New Song is the music story that KyungGu Lee has experienced in New York City. One of his compositions, The Rose is the name of the club in Brooklyn is a tune for celebrating his first gig in New York City. The tune called The Princes was dedicated to his wife who is also jazz pianist. In addition, Intuition in tango style for his Brazilian friends, and Visitors about feeling of his strangeness when he came to New York let people imagine his stories while they listen to the music. 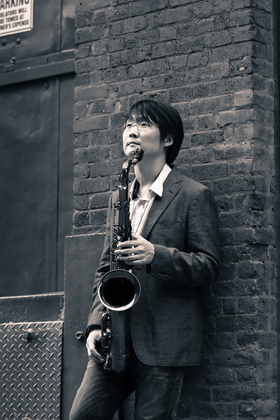 Kyunggu Lee is a versatile jazz musician: a tenor saxophonist, an arranger, a composer and producer. He wants to contribute to the art and enjoyment of jazz music and help people who have a strong desire to learn more about jazz music.